Accompanied by Amrapali Group Staff, homebuyers who have invested in the trouble-hit real estate company’s Gold Homes and Centurion Park projects in Greater Noida inspected the sites, and took stock of the work progress on March 18. The move follows a directive by the Supreme Court (SC), which had on March 15 told the realtors to hold meeting with homebuyers and reach and consensus on ongoing issues. The company will carry out similar inspection of 15 of its housing projects in the days to come. In the meantime, the Uttar Pradesh Power Corporation Ltd has stopped power supply to four of Amrapali's Noida projects over pending dues worth Rs 5 crore. The projects where power supply has been halted include Silicon City, Platinum, Zodiac and Princely Estate. Amrapali had earlier assured the top court on delivering 10,647 units in a matter of 3-15 months. On March 15, the apex court also said claims of the banks, which have to recover their money from the insolvency-hit real estate major, would be settled at a later stage after buyers’ issues are solved. “You have to wait till we give justice to buyers,” the SC told the lawyer representing the financial institutions. Homebuyers should get their flats at the earliest, said the SC, adding that refund of money was not the solution to the problem. The SC directed the company to engage with buyers and inform them about the time it was going to take in delivering its under-construction projects. While the first meeting in this regard was held on March 17, the other two meeting will be held on March 19 and 20. According to media reports, 15 projects of the trouble-hit real estate company will be discussed during the course of these meetings. Projects that would be brought on the table for discussion in the meetings include Cosmos, Dream Valley, Gold Homes, Leisure Park, Leisure Valley, Princely Estate, Sapphire, Silicon Valley, Tech Park, and Zodiac. The company has to provide the minutes of the meeting to the apex court on March 27, when the next hearing of the case is scheduled. "The joint statement and proposals shall be filed before the court on March 27, so that we can take a holistic view of the problems faced by the parties. The proposals filed should be in a tabular form, with details of time needed for completing work at nearing completion projects and those in which work has not started so far," the SC said. According to the details provided by the company to the SC on February 22, the embattled real estate major would be able to deliver the units in 19 towers of its Leisure Park project in Greater Noida with help from the outside ─ the company has told the apex court that 13 developers are willing to assist it to accomplish the task that would require an amount no less than Rs 87.28 crore. The company is facing insolvency proceedings initiated by Bank of Baroda because of its failure to repaying loans. The cash crunch, the company said, left it helpless in hand over possession of flats to over 42,000 buyers in a time-bound manner. "This would (roping in of other builders) provide for the necessary liquidity and cash flows for payment to the creditors and also investments in projects that unfortunately have negative cash flows,” the company said in its affidavit on February 20. The SC, on October 27, sought the response of Amrapali on a plea filed by around 700 homebuyers, who had booked their homes in its projects. A Bench comprising Chief Justice Dipak Misra and Justices A M Khanwilkar and D Y Chandrachud issued a notice to the real estate company and said it had already restrained the company promoters ─ Anil Kumar Sharma, Ajay Kumar and Shiv Priya ─ from leaving the country without its permission. On October 13, the SC had issued a notice to the Amprapali Group, its promoters and the Ministry of Finance on another petition filed by homebuyers, and asked the promoters not to leave the country without its permission. The lawyer representing the buyers told the court investors had neither received possession of their flats nor the refund.sed land bank of 35 million square foot, and Rs 4,300-crore fund collected from buyers. The earlier plea, by the Amrapali Silicon City Flat Owners Welfare Society, was filed against an order of the National Company Law Tribunal (NCLT) that admitted Bank of Baroda's insolvency petition against Amrapali's Silicon City project in Noida in Uttar Pradesh. The apex court also directed that senior advocate Shekhar Naphade along with Advocate on Record Shubhangi Tuli will participate in the meetings of the Committee of Creditors under Section 21 of the Insolvency and Bankruptcy Code, 2016, to ensure the cause of the homebuyers and protect their interests. The group has a standing liability of Rs 1,000 crore to about 10 banks. Additionally, the group owes about Rs 3,000 crore to Noida and Greater Noida authorities, the two areas where the group has the highest number of residential projects. Also, it would require about Rs 3,000 crore to complete its various ongoing projects. On the bright side, Amrapali has a licensed land bank of 35 million square foot, and Rs 4,300-crore fund collected from buyers. In 2008-09, the Noida Authority launched a scheme to grant large parcels of land to individuals to develop farmhouses—150 plots, to be specific. It went ahead and acquired prime land spread across 12 villages. However, several of the high-profile applicants, who were allotted land at that time, have not been able to get possession of their plots even after eight years as low compensation rates led to farmers of two villages ─ Chhaproili and Mangroli ─ knocking at the doors of the Allahabad High Court (HC). This has also resulted in the state exchequer taking a hit of up to Rs 1,000 crore, official estimates show. According to media reports, the Noida Authority has now started the process to acquire 54 hectare of land spread across the two villages to allot 40 plots to the waiting applicants. On March 21, Noida Authority chief executive officer along with senior officials of the district administration met the protesting farmers ─ they have been agitation since March 1 after it became public that the Noida Authority was going to revive its attempts to acquire land ─ to resolve the issue. “We have suggested them to approach the district magistrate for enhancement of land rates, instead of waiting for the cases to progress in the Allahabad High Court,” Noida Authority Officer on Special Duty RK Singh was quoted in a Hindustan Times article as saying. While the HC had resolved some of the cases, several petitions are still pending with it. The Noida Authority is paying the farmers Rs 118 for per square metre (sqm) of land in these areas while it pays compensation in the range of over Rs 5,000 per sqm in other places, farmers claim. It is worth mentioning here that the two villages are located along the Noida-Greater Noida Expressway, and form a part of the city’s prime real estate. The Noida Authority’s argument made in the March 21 meeting, however, has not been moving enough. The ongoing sit-ins at the Mangroli-Chhatroli Road continued even after the meeting. NOIDA: The pace at which the Aqua Line metro corridor was progressing had found mention in the Limca Book of Records. But the 29.7km Noida-Greater Noida link will definitely miss its scheduled launch date of April 2018. The launch now looks likely only in the latter half of the year. The corridor, which entered the record book for construction of the highest number of girders on a single line in a month, has been crippled by a number of issues, the prime among them being power supply. Officials said though 99% of the civil work had been completed, the project is yet to conduct oscillation trials — which would focus on curves around eight of the 21 stations. On Thursday, two new trains arrived from China’s Nanjing to take part in the trials, taking the number of trains now available to only three. 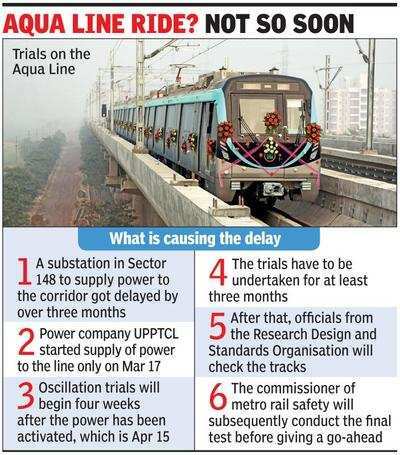 Officials in the Noida Metro Rail Corporation (NMRC) said the trials were expected to start on April 15 because Uttar Pradesh Power Transmission Corporation Ltd(UPPTCL) had started supplying power to the corridor only five days ago. The trials are likely to be conducted for three months before the official launch. Asked about the delay, sources said UPPTCL was supposed to set up a substation in Noida’s Sector 148 but that got delayed by over three months. The sources said UPPTCL had been facing a funds crunch as well. Initially, NMRC had considered getting power from RC Green, but it was later found that would not be sufficient. So, it wrote to the state power utility to supply electricity for dry runs. “There have been certain bottlenecks. We are on the right track but there was a delay in getting power. NMRC has now set up two receiving substations that will help transmit electricity to the metro stations,” NMRC general manager (finance) PD Upadhyay said. Puneet Gupta, executive engineer in UPPTCL, agreed there had been a delay in setting up the receiving station as well as getting electrical safety clearance for the project. “We could not have supplied power until the project got an electrical safety clearance,” he said. Officials said 11 trains, all manufactured by a Chinese company and imported, would run along the line when the corridor becomes operational. “We are looking to start an oscillation trial around April 15,” Upadhayay said. The trial will cover eight stations — six in Greater Noida and two in Noida. Even after the trial runs, there are a number of steps before passenger services start. After the trials are over, the Research Design and Standards Organisation (RDSO) under the railway ministry will check the tracks. An RDSO team had visited Greater Noida for an inspection last week and had made certain suggestions. Officials declined to commit to any commissioning date, putting the onus on the RDSO’s go-ahead and a clearance from the commissioner of metro rail safety. The Aqua Line has 21 metro stations and is supposed to be serviced by 19 trains — each with a capacity of 1,000 passengers. NOIDA: The five cuts on the central verge of Captain Vijayant Thapar Marg near Atta market, which were cemented and closed on Thursday night, were found destroyed on Friday morning with bricks and construction material strewn around. The five cuts allowed people to move from Sector 18 market to Atta market and vice-versa. These cuts were closed as they posed a threat to pedestrians. 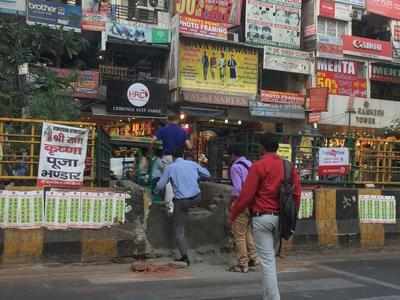 According to officials, in a meeting presided over by Noida Authority CEO in November last year, it was decided that the five cuts opposite Atta market and the two cuts near City Centre metro station shall be closed. Subsequently, the two cuts near City Centre metro station were closed and on Thursday, the five near Atta market were closed. However, on Friday morning, two of the cuts were found destroyed with construction material strewn around. At the three other cuts which were closed, pedestrians could be seen scurrying over the central verge as there was no metallic grill. “People who are used to using the cuts to move from Atta market to Sector 18 market and vice-versa must have started using the cuts again, leading to the cement coming off. The people in Atta market do not want the cuts to be closed,” said a security guard of a nearby hotel. Sushil Jain, president of the Sector 18 market association, said the association had no role in the issue and people behind it were most likely from the Atta market. CB Jha, president, Atta market association, denied involvement of shopkeepers but said the Authority did not inform them before closing the cuts. “We have requested the Authority for a subway from Sector 18 to Atta market but it is not ready to help us even though it is spending crores for Sector 18,” he said. The police have attributed the incident to the continuous friction between the Sector 18 market association and the shopkeepers from Atta market. “This is the result of an ongoing feud between the two parties,” SP (traffic) Anil Jha said. NOIDA: Union minister Mahesh Sharma advised Noida Authority officials on Saturday to mind their behaviour while talking to people who come with grievances and act swiftly on complaints, saying there had been “some lapses” on their part. “Your behaviour should be such that people can come forward with their problems. There should not be a tendency to speak rudely with someone,” Sharma, also the Gautam Budh Nagar MP, said. He was speaking at a meeting with the Authority’s CEO, project engineers and other senior officials. The meeting — the first such session in Sharma’s tenure as MP — had been organised to review projects undertaken by the Authority. The minister also laid down the “ABC” — availability, behaviour and confidence — of works ethics, pointing out that a number of residents had approached him and even the Prime Minister’s Office (PMO) after their complaints had not been addressed by the Noida Authority. Speaking on the issue of sanitation, Sharma directed the officials not to sweep things under the carpet. He said there was a tendency to repair roads and drains only during a visit by the Prime Minister or some other dignitary. “When the sectors were formed, we forgot where the waste generated would be disposed. There have been some lapses and the Noida Authority has been facing some allegations,” he said. Sharma said that the foundation stone for the development of the Botanical Garden across 400 acres would be laid between April 14 and May 5, however, he did not mention the specifics. He also pulled up the officials when the upkeep of the Government PG Degree College in Sector 39 was raised. Sharma said the problem had not been addressed despite several representations from the college principal and residents. The minister further pointed out that a water pipeline on the Shahdara bridge in Sector 16 had been leaking for almost a month and that vehicles openly flouted the one-way rule on the Udyog Marg and Harola road. “If making the Harola road one-way has given rise to corruption and the one-way rule cannot be implemented, then make it two-way,” he told the meeting. The Authority officials were also asked to resolve the impasse over land required for Noida projects at the earliest. The officials were told to speak to farmers who have refused to part with their plots at the rate offered by the Authority. Sharma also ordered the formulation of a policy to ensure that the level of road bridges was not higher than that of buildings in Noida and suggested that an elevated road be built across the Shahdara drain to link it with the Meerut Highway. “It has to be seen whether it will be funded by the Centre or the state government,” he said. Additional CEO RK Mishra said the issues raised by the minister had been noted down by the Authority. “A report will be sent on this account soon as required by him,” he said. NOIDA: Union minister Mahesh Sharma has directed officials of Noida Authority to carve out two lanes along the Noida-Greater Noida Expressway to ease the flow of traffic between Noida and Delhi, a proposal that could see the felling of nearly 500 trees at a time NCR is reeling from rising pollution levels. The proposal, made at a meeting on Saturday, elicited a sharp reaction from environmentalists. They said the plan to build two additional lanes between the Noida entry gate and the Mahamaya flyover would have little effect in the long run, given the rate at which the number of vehicles is rising. Instead, the activists suggested, an elevated road would help ease the traffic better. “I have discussed with the environment ministry the issue of cutting down 500 trees. If we get an analysis done, we will realise that the damage being done to the environment by thousands of vehicles getting stranded here every day is much more than that caused because of the felling of the trees,” the minister was quoted as saying at the Saturday meeting. Sharma is the minister of state for environment, forest and climate change. The horticulture and civil department will now conduct a survey to ascertain the feasibility of carving out the lanes by cutting down the trees. The activists have said they would write to the forest department, suggesting an elevated road instead. 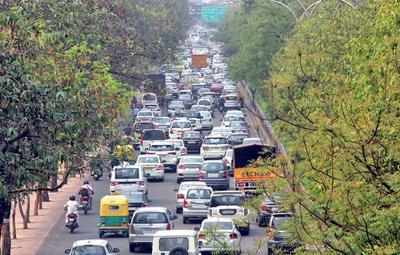 During the course of the meeting, the Authority officials informed the minister that constructing an additional lane on the Noida-Delhi flank of the road would be easier said than done because of the lack of space. Ombir Singh, director horticulture, said the civil department would now conduct a study to see how many trees needed to be felled in the space available. “A survey will be conducted on the space available,” he said. Sources said once the survey was completed, it would be sent to the forest department for approval. Activists objected to the felling of trees. Vikrant Tongad, a member of the Social Action for Forest and Environment, said: “Vehicular emission is one of the major causes of air pollution. But curtailing it should not come at the cost of trees. We need a policy to regulate fuel emission levels and maintain the green cover. We will write to the forest department not to grant permission for the proposal,” he said. District forest officer HV Girish said his department would examine the proposal once it came to him. “I am not aware of any such proposal. For every project that involves cutting down over 50 trees, permission has to be sought from the conservator of forests,” he said. NEW DELHI: Thousands of first-time homebuyers in Noida and Greater Noida, whose hopes of getting the interest subsidy under PM Awas Yojna (PMAY) were fading, can now look forward to availing the benefit. All eligible buyers with annual income of up to Rs 18 lakh, who have bought houses after January 2017, will be able to get the subsidy, a government order said. 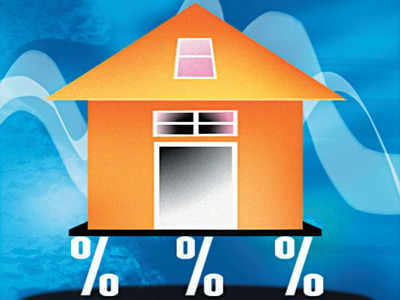 All eligible home buyers from the middle income groups (MIGs) can get interest subsidy of approximately Rs 2.5 lakh on their home loans under the PMAY (urban). On March 15, the housing and urban affairs ministry made an amendment to the PMAY (urban) specifying the effective dates of different changes under this flagship scheme. All cities including Noida and Greater Noida had been brought under the credit linked subsidy scheme for the middle income group (MIG) with effect from January 1, 2017. “Al those eligible home owners who have bought houses after January 2017 need to approach their bank and refer to March 15 the notification to start the process of getting interest subsidy. We have informed all agencies concerned and the primary lending institutions such as HUDCO and National Housing Bank. This will squarely address all concerns of the home buyers,” said a housing ministry official. TOI in February this year had first highlighted how middle and low income group home buyers in these two Delhi suburbs were being deprived of getting interest subsidy for the failure in UP government’s part to include Noida and Greater Noida among the list of towns that are eligible for the benefit. Following this revelation, both Centre and the state governments took up the issue and UP government finally sent the names of the two cities. These names were included early this month. Sources said at least 92,000 beneficiaries have got the interest subsidy under the CLSS and more than 22,000 of them fall under the middle income groups. On a day when the apex court blasted the Delhi government over its failure to submit a plan to combat encroachments, the Noida Authority on March 26 made public its intent to allot homes to slum dwellers through a luck draw with an aim to free prime government land in the region. On March 28, the Noida Authority will hold a lucky draw to allot units to 99 applicants. Official data show as many as three lakh people belonging to economically weaker sections (EWS) category live in illegal constructions in Noida. Also, 11,565 slum dwellers live in Noida across sectors 4,5,8,9 and 10. Despite repeated attempts that started in 2000 along with the mushrooming of slums in the national capital region’s information technology hub, the Noida Authority has not been able to free prime land parcels. In the meantime, it has built 8,722 units in total, meant for factory workers (4,952 units), economically weaker sections (2,760 units) and the low-income group (1,010 units). All of these units are lying vacant while the number of shanties across the city is increasingly swelling. The other two development bodies in the region — the Greater Noida Authority and the Yamuna Expressway Industrial Development Authority (Yeida) — are not seen doing any better to stop illegal encroachment. According to media reports, the Greater Noida Authority has failed to allot 20-25 percent of land in each planned sector for housing meant for the underprivileged. In 2012, the National Capital Regional Planning Board (NCRPB) had directed the authority to make changes in its master plan of 2021, and increase the portion it must set aside in each planned sector for the EWS and LIG category from the earlier five per cent to 20-25 per cent. Another directive by the NCRPB followed in 2014 also fell on deaf ears. Official data show the authority has constructed only 10,000 units for the weaker sections since its inception in 1992. Only half of these units are occupied so far. According to highly placed officials in the authority, affordability has been the key concern why half the units lie unsold. The Yeida, on the other hand, has reportedly built 5,000 homes for the EWS category, clearly defying the set rules. “We do not plan to allot more flats for the LIG people as there are no takers for such flats. If there is no demand, why should we build such flats,” Yeida Chief Executive Officer Arun Vir Singh was quoted in a Hindustan Times report as saying. NEW DELHI: The Supreme Court of India on Tuesday asked all stakeholders of Amrapali to submit their objections/suggestions related to various projects by April 6. The order came after ML Lahoty, representing Amrapali, submitted a report based on joint inspections carried out by Amrapali and homebuyers on some projects. The projects were then categorised into three classes depending on their completion status. However, various stakeholders objected to the report saying that the information provided does not include all projects and details were incomplete. The SC then directed Amrapali Group and all interested parties to hold a joint meeting on March 31. The previous meeting held on March 17 was not attended by all the parties. It asked Noida and Greater Noida authority to carry out tower-wise inspections of all projects by the next hearing to be held on April 10. It also ordered both authorities to submit a report on what are the deficiencies and requisites for the completion of projects. The apex court also asked Bank of Baroda to submit their objections to the completion of any project along with details of their charge on the property. It ordered the Amrapali Group to submit details of money required to complete the projects and how they are going to arrange it. The Supreme Court asked the final report containing all the above mentioned details to be submitted to Amrapali’s advocate on record- Gaurav Goyal. Meanwhile, the court has requested the insolvency resolution professional (IRP) to not press the resolution process. NOIDA: Given the onset of summer, RWA federation rues lack of outdoor activity of children especially in sector parks because the parks/playgrounds lack proper swings, slides and other amusement equipment. Citing that most sector parks' swings, slides etc. are either broken or non-existent, the RWA federation has demanded authority to provide the same at the earliest along with regular watering of the parks where the grass and plants are dying due to excessive heat. “We have got many complaints from sector RWAs such as sectors 19, 20, 27, 34, 51, 62, 63 and more that parks in the sectors do not have proper play area for the children. Either the parks are landscaped or amusement swings and slides are missing in them. Wherever there are swings and other play items for children, they are mostly broken and in need of immediate repair or replacement. Therefore we have requested Noida authority to look into attending to all parks in residential sectors as its summer months and children are unable to play in playgrounds in the absence of proper swings for them,’ said N P Singh, president Federation of Noida Residents Welfare Associations (FONRW). Singh has also urged authority to attend to the maintenance of sector parks which are mostly languishing with dried plants, grass and proper seasonal trees in the absence of proper watering in them. “The parks in sector 20 are in immediate need of attention. Recently MLA Pankaj Singh visited our sector (March 9) last week and noted the overgrown shrubs, plants, garbage and dried grass in the parks and gave instructions to officials of the horticulture department. It’s been four days and there’s no action on ground yet. The parks need immediate watering and pruning of shrubs so that children and residents can use them,” said Suresh Tiwari, resident of sector 20 and senior vice president FONRWA. Earlier last month sector 51 RWA had complained to authority over the need for maintenance and repair of children’s park in the sector. “No proper watering of parks is happening and with some being landscaped the children are unable to find space to play in the evenings. We urge authority to look into the demand for broken swing replacement and proper maintenance of sector parks,” said Singh. 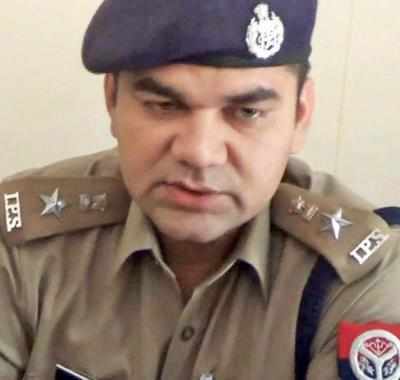 NOIDA: Ajay Pal Sharma took over as the senior superintendent of police, Gautam Budh Nagar, last week. Since the day he took charge, there have been at least 10 encounters in which one alleged criminal was gunned down and a dozen arrested. In his earlier stint in Shamli as superintendent of police, Sharma also presided over a similar strategy. He shared his views with Shafaque Alam on his plans to check crime in Noida and Greater Noida. You took charge as SSP and there is an increase in encounters. We have planned to improve policing and check crimes in rural and urban areas alike. There are two kinds of criminals — one, who are part of notorious gangs, and second, petty criminals. The focus now is on the organised gangs. We have made a good start and several wanted criminals were held and one carrying a reward of Rs 1 lakh, Shravan, was killed in a hot chase. Another criminal, Sheru Bhati, who had a reward of Rs 25,000 on his head in Shiv Kumar Yadav murder case, surrendered himself. The crackdown is surely yielding good results. So the encounters will continue in coming days? I can say that the criminals will be dealt with strictly as per the law. We will take all measures to enforce law and order. Gangsters in jail have been finding ways to skip court proceedings. What do you plan to do about that? We are examining their cases and crime records. We are establishing if criminals like Sunder Bhati, Anil Dujana, Randeep Bhati, etc, who are currently in different jails, are appearing in court proceedings or not. Some of them have been skipping hearings and this delays the process. We will ensure they join proceedings on each hearing, unless there is a serious issue or health problem. Even in those cases, appropriate steps will be taken. This will expedite the judicial process. Their movable/immovable properties will be examined afresh, and if acquired illegally, they would be attached. What are the plans to improve policing in urban areas and check snatchings and thefts? We are identifying places which are prone to such crimes in urban and rural areas. We will deploy more personnel and squads and nab such criminals. The focus will also be on market places, malls and shopping centres. We aim to make Noida crime-free. Increase in cyber-crime also needs attention. What are the plans to curb it? We have visited the Noida’s Centre for Cyber Crime Investigation. We are studying the kinds of cyber crimes which are increasing in the city. There is increase in financial frauds and fake call centres. We will soon make a detailed plan to address the issue. First, we will work on prevention of cyber frauds and conduct awareness programme among people. Second, we will work on solving the cases filed in police stations. NOIDA: The Uttar Pradesh and Delhi governments will form a joint coordination committee to work out the overhaul of the Okhla Bird Sanctuary, the forest officer of Gautam Budh Nagar said on Thursday. 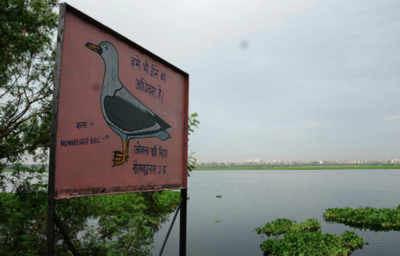 "As the Okhla Bird Sanctuary covers two states, permission for its overhaul will have to be taken from both governments. A coordination committee will have to be formed with representatives from the departments of forest, civil, irrigation and others to approve the plan. The funding is expected from the ministry of forests and environment," said HV Girish, the district forest officer. Girish said a temporary estimate of Rs 25 crore had been mentioned in a draft report. Now that the Centre is involved in the project, Girish said the detailed project report would be vetted by it. "The Uttar Pradesh government will soon appoint an agency to draw a DPR or a blue print for this overhaul. The plan would then be approved by the ministry for funding. We hope this process will not take more than two months. 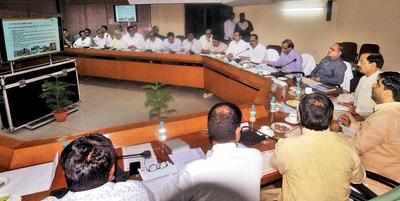 Work on the ground would start soon after all the necessary approvals have been granted for the project," Girish said. Union minister Mahesh Sharma had earlier this month announced a complete revamp of the bird park by the end of the year. "The Okhla Bird Sanctuary hosts a rich diversity of birds from India and abroad. 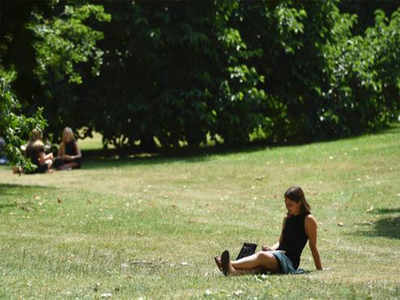 We will fully involve ourselves in the upgrade of the park," he had said. As part of the overhaul, new gates, cameras, washrooms, observatories and a library of books on birds would be set up in the park. More than 300 species of birds are reported to have been spotted at the park. Of these, 50% are migratory birds, 36% resident birds and the remaining are vagrant sightings or of unknown category. GHAZIABAD: Chief minister Yogi Adityanath on Friday said 50,000 flats would be delivered to homebuyers in Noida, Greater Noida and Yamuna expressway areas, a process that began last year after he set this target before the local administrators, by next month. Speaking after inaugurating the Hindon Elevated Road in Ghaziabad, Yogi blamed the SP regime under Akhilesh Yadav for the delay in delivering the homes. On December 23, during his first visit to Noida as chief minister, Yogi had promised that 80,000 homes would be delivered in the twin cities by March 31. “Nearly 50,000 housing units will be handed over to buyers next month. Another 50,000 units will be delivered in the next six months. The delay is due to past governments. They had indulged in ‘commission-khori’ in this issue too as in other work, as a result of which delivery of flats to homebuyers got delayed,” the CM said. Yogi also attacked the Samajwadi Party government for the delay in getting clearances for the Hindon Elevated Road, which was held up for nearly three months because it did not have environmental clearance. The road was finally opened six months after its original scheduled date of completion. “Though work for the elevated road had commenced in 2014, the SP government left it midway because they did not procure clearances from the railway and the environment ministry. They used to fix their shares of commission in each project and had done it for the elevated road too. It is only with the efforts of our government and officials that the road has finally been opened,” Yogi said. While praising UP Police for cracking the sensational Sahibabad gold robbery case this week, in which two Delhi Police personnel were arrested, the CM also hot out at the SP government for its “poor track record” in handling law and order in the state. “Earlier, the government used to patronise riot mongers while victims were put in jails. The Muzaffarnagar episode is still fresh in mind during which time there were riots in several places of UP. The state hasn’t seen a single instance of rioting in the past one year of the BJP government because the treatment meted out to criminals is there for all to see. Many had presumed the gold robbery incident in Sahibabad last week would never be solved. But police in the state has changed. Under earlier governments, criminals used to flee even with AK-47 rifles,” said Yogi. The Samajwadi Party reacted sharply to the allegations. “The Yogi government is just one year old in office and the chief minister is already showing signs of nervousness, especially after BJP’s humiliating losses in Phulpur and Gorakhpur byelections,” said Surendra Kumar Munni, district president, SP. In his address, Yogi also said “people across UP are eager for the establishment of Ram Rajya in the state” but emphasised that “this dream can be realised only when there is shelter for each family, electricity in each household, gas connections in each kitchen and ration cards for each poor person”. If you live in Noida, the national capital region’s common hub of information technology and affordable housing, get ready to pay more for water. The Noida Authority recently hiked water tariff by up to 25 per cent. It was in July 2013 when the authority had last increased water tariffs. At that time, the increase was by up to 75 per cent. Before that, rates of water supply were raised in 2003. Now, while the charges have been increased by up to 10 per cent for low-income group flats and 80 villages, rates have been increased by up to 25 per cent for residential, industrial, institutional and commercial categories. At present, water tariff is Rs 175 a month for units that fall in the middle-income group. For high-income group category, the rates are Rs 210 a month. For consumers living in a duplex home, the monthly water charge is Rs 260. The hiked rates come into effect from April 1—bills generated from that date would reflect the hiked rates. The increase in water tariff has been implemented to increase revenue in order to meet the expense the Noida Authority incurs to supply water to the city, which will have a population of 21 lakh by 2021. In fact, the authority has hired global consultant Ernst & Young to suggest the percentage by which it should hike water tariff to generate more revenue. The agency has yet to give its report to the authority in this regard. While officials of the Noida Authority are of the opinion that the increase in tariff is negligible, residents beg to differ. Since the quality of water is poor, the hike in tariff is unjustified, says residents, who are reportedly planning to protest the move. “There is no way you can drink the water that is supplied by the Noida Authority. The hard water also damages the water purifier far quicker than you would expect. Worse still, using this water for other purposes is no good either. You have to use water softener to use it for washing clothes and yourself to make sure no damages are caused to either of the two,” says Preeti Singh, a resident of Sector 74. While the Noida Authority meets 56 per cent of the total water demand by supplying from the Ganga, 44 per cent of the demand is met using groundwater.